Thanks so much to Alice for hosting me on her site today! 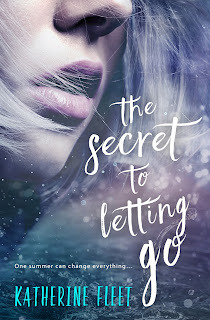 I’m Katherine Fleet, the debut author of The Secret to Letting Go. It’s a YA contemporary set in a fictional town on the Gulf Coast of Florida during that magical summer after high school graduation when the whole world is out there waiting for you. It’s the story of two teens – Clover, a mysterious girl who shows up in town lost in her secrets and fears, and Daniel, a boy who’s drawn into her troubled world despite his better judgment. Life keeps throwing them together, but their secrets keep them apart. Ultimately, it’s a story about living through tragedy and learning to forgive your self. 1 - Describe The Secret to Letting Go with a haiku or twitter pitch. Since I was always terrible at our annual holiday haiku contest at the office, I’ll stick with a twitter pitch! Homeless and running from her past, Clover needs saving. Daniel’s not good at being anyone’s hero, but he can’t walk away. 2 - What was the first initial thought or thing that sparked the idea of The Secret to Letting Go? This will probably sound cliché, but I had a dream, which was basically the first scene of the book. When I woke up, I just lay there, letting the characters take shape. I didn’t know what Clover had been through, but I knew it was something bad. From there, I started writing. 3 - What do you like most and least about your protagonists Clover and Daniel? I love that after everything they’ve been through, neither one of them has given up on life, hope or love. What do I like least? That’s a hard one. It’s probably that they had so many self-doubts. I wanted them to be confident in their own goodness and worthiness, but I knew that it would take a while for them to accept it. 4 - What was the most challenging thing about writing The Secret to Letting Go and which scene was the most fun to write? The most challenging part was portraying Clover’s character to the reader in the same way I saw her. To me, Clover is a girl with quiet strength. She requires saving on several occasions and she has her phobias, but she’s survived so much and still has the ability to see good in the world and feel compassion toward others. I believe it takes great personal strength to emerge from trauma and tragedy, without losing hope and optimism. So, I was surprised when feedback on early drafts mentioned that she seemed weak and needy. That’s when I realized that a writer’s vision of a character may not always come across clearly. So I revised and tweaked until readers could see Clover the same way I see her. I love writing emotional scenes. So the parts I had the most “fun” writing are actually the ones where I was on the verge of tears as I was typing. There are a lot of emotional scenes in this book, but the cemetery scene in the middle of the storm was probably my fav. This book had an unusually long timeframe. Unfortunately, I’d just started writing when I was diagnosed with breast cancer. It took over six months before I was able to return to the story and eighteen months in total before it was finished. The publishing deal took many, many queries and another three years of waiting and perseverance! 6 - How did you feel when you first realized that this story you had written would soon be read by hundreds of people and how do you feel now, a couple of weeks after the publication? I was nervous, because a part of me was afraid no one would read it or like it. When the initial reviews started to come in, I realized that readers were forming their own thoughts and relationships with the characters I’d created. It’s an amazing and surreal feeling, because the story takes on a life of its own, independent from me. The amazingness of this still hasn’t worn off. 7 - Why do you think the readers out there should pick up The Secret to Letting Go? What makes the story stand out and, in a way, important? There are so many great YA stories available right now, so it can be difficult for readers to choose. I like to think that my book is a unique emotional journey. At points, it’s deep and raw, but always hopeful. The romance is sweet, but the secrets are dark. It’s a small-town book, with a rich cast of characters, some surprise twist and turns, and an eccentric heroine that readers are falling in love with. I had some basic ideas for the cover, which I shared with Entangled, but what they created looked very different from what I’d envisioned. So when I first saw it, I was a little disoriented, but it didn’t take long for it to grow on me. Now, I love it and can’t imagine anything else! 9 - Did you listen to any particular songs or artists while writing The Secret the Letting Go? If so, could you give us an example? I love writing to music and have different playlists for different activities. Certain songs put me in the right mood to write emotional scenes, and other songs I listen to when editing. Most of The Secret to Letting Go was written while listening to Mumford & Sons. Writing is a craft and a skill, and like any other skill, it gets better with practice. Your first book may not get published, but if you keep writing, you will succeed. Oh, and if you are serious about being a writer, tell people you are a writer. Saying these words out loud to family, friends and even strangers makes it real, and it makes you accountable. It will help you hang in there, even when you feel discouraged. Also, find the people who will support and encourage your writing goals. 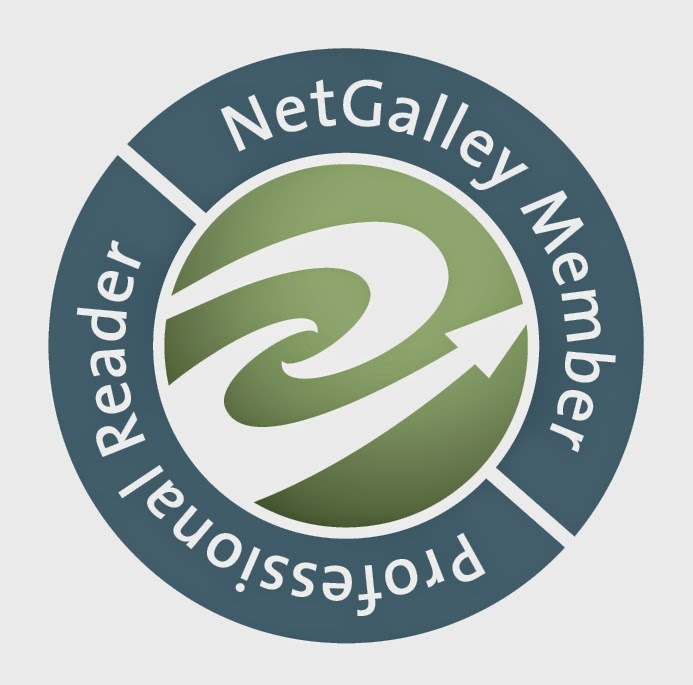 It may be your family, friends, a critique partner or an online writing community. You may need to put yourself out there to find them, but the reward will be worth it!